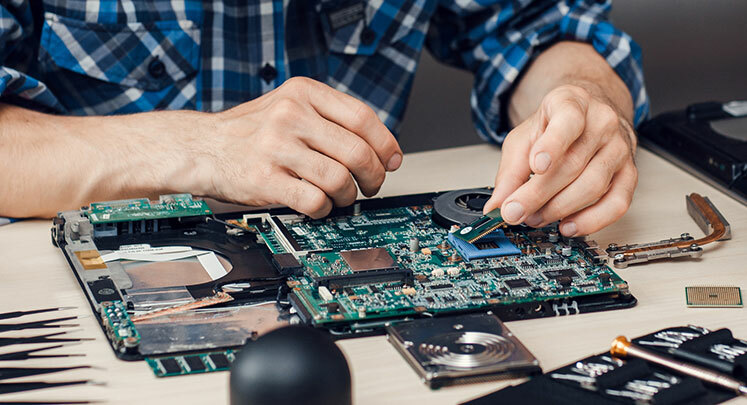 Microworx repairs all brands of laptop and tablet computers – Dell, Lenovo, HP, Apple, Microsoft, or most any manufacturer. While they may be convenient, these portable devices are not always the most rugged. We replace broken plastics, displays, DC jacks, keyboards, hinges, and more. We clean up viruses, remove malware and spyware, troubleshoot hardware and software problems, fix networking issues, recover data, and install critical software upgrades. We can even upgrade the RAM and/or replace the hard drive with a Solid State Hard Drive (SSD) to improve performance. Spill your drink on your new laptop? We can help with that too. In short, Microworx can perform any repair you may need on your laptop or tablet. 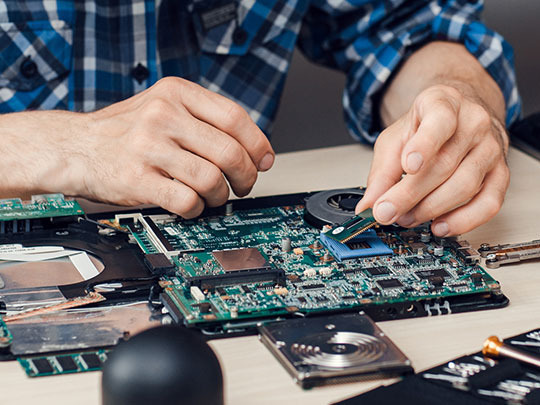 They don’t travel the way a portable device does, but desktop PCs also need repair. Hard drives fail. Spyware, malware, and viruses invade. Software becomes corrupted. And when your computer goes down, your productivity does as well. Let Microworx help you address your PC problems. We troubleshoot both hardware and software concerns and recommend the best solution for your needs. We can often make the repairs at your home or office, limiting your downtime. Microworx also performs a variety of upgrades, boosting your performance and productivity. We carry a large selection of in-stock components, which helps guarantee a quick turn-around on repairs or upgrades.